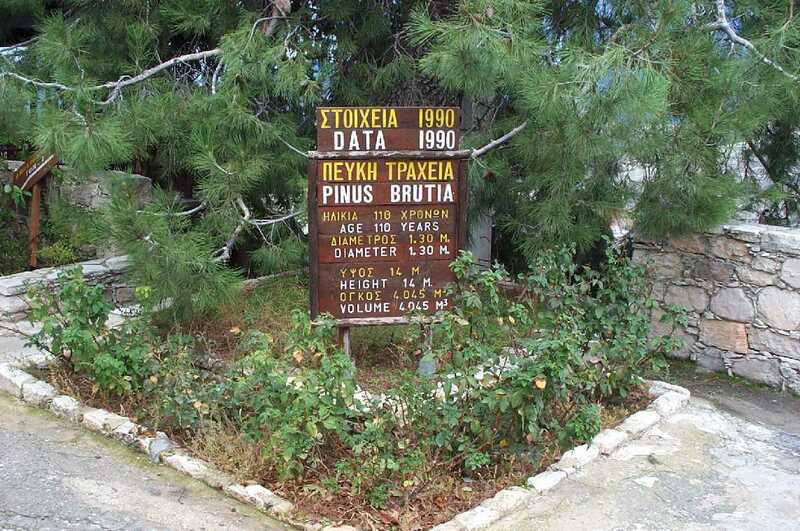 An impressive pine tree, with mathematically-minded carers. 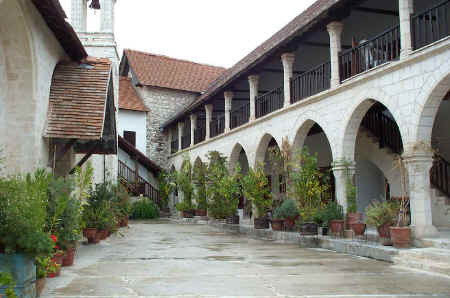 Chrysorrogiatissa Monastery. 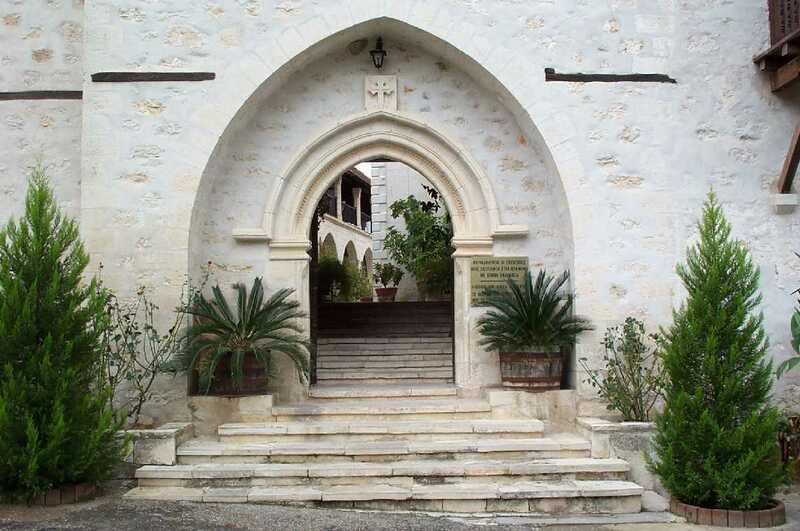 The monastery, about 40km north-east of Paphos, was founded in the 12th century, and is dedicated to Our Lady of the Golden Pomegranate. The building dates back to 1770 and has a collection of important icons and treasures. The monastery makes its own range of wines using local grapes. 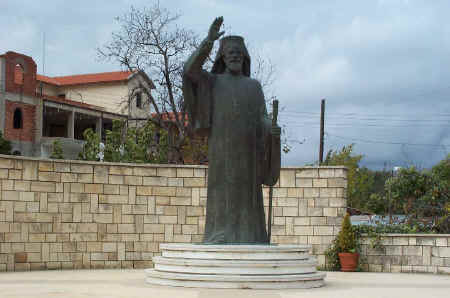 Statue of Archbishop Makarios III in Panayia, the village where he was born. Makarios was Orthodox archbishop of Cyprus and the first President of Cyprus. 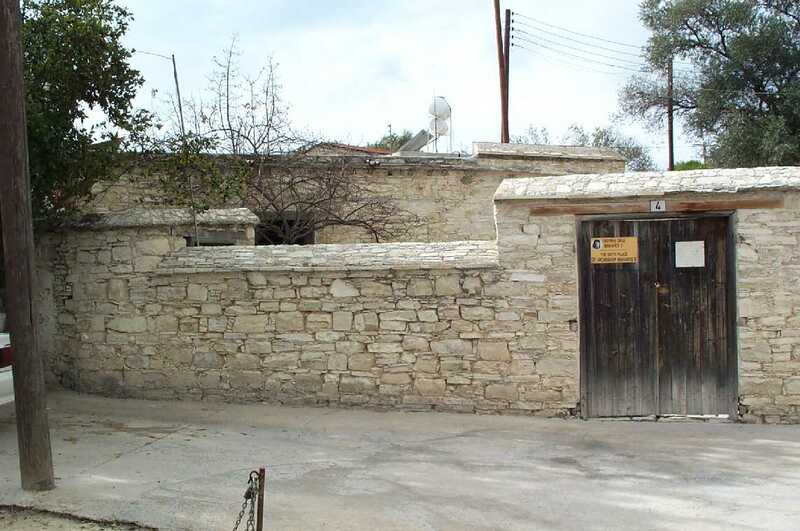 Makarios, the son of a shepherd, was born 13 August 1913 somewhere behind this wall. Thrice elected president, he survived four assassination attempts, temporary deposition by a coup in 1974, and Turkish invasion. He died in Nicosia, on 3August 1977.